Splitboarder ascends Diamond Head Peak, east of Squamish. Predictions of another strong snow year is boosting splitboard production and sending backcountry newcomers to sign up for avalanche safety training. “I’ve never seen this much snow mid-November,” said Will Kovacic, a Whistler snowboarder and backcountry guide. On Friday Nov. 17th most boarders raced to ride Whistler’s 20 open trails. But Kovacic was able to access the mountain’s unopened and untracked peaks thanks to his splitboard. A splitboard is a type of snowboard that can easily be transformed into touring skis to ascend backcountry terrain. The two pieces are reassembled into a snowboard for the descent. Splitboarding is snowboarding’s fastest growing trend in the south coast due to improved technologies and excellent ski conditions. Predictions of La Niña have splitboard manufacturers and avalanche training facilities preparing for another busy year. “Canadians should brace for periods of high-impact weather and an impressive amount of snowfall,” said chief meteorologist Chris Scott in a recent Weather Network press release. A healthy splitboard industry requires two things: an abundance of snow, and accessible technology. The once niche-market now carries 61 different splitboards ranging in quality, specialty, and affordability, from local board shapers and major snowboard companies. According to Snowsports Industries America, splitboard sales in all snow sport shops reached roughly 5,300 units in 2016/17, effectively overtaking alpine touring ski sales. “The sport is way more accessible to the consumer. Only years ago there were very few good quality and affordable boards on the market. Today, everyone’s jumping into the market. It makes it much more appealing to go into the backcountry,” said Brian Jones, owner of Canada West Mountain School. 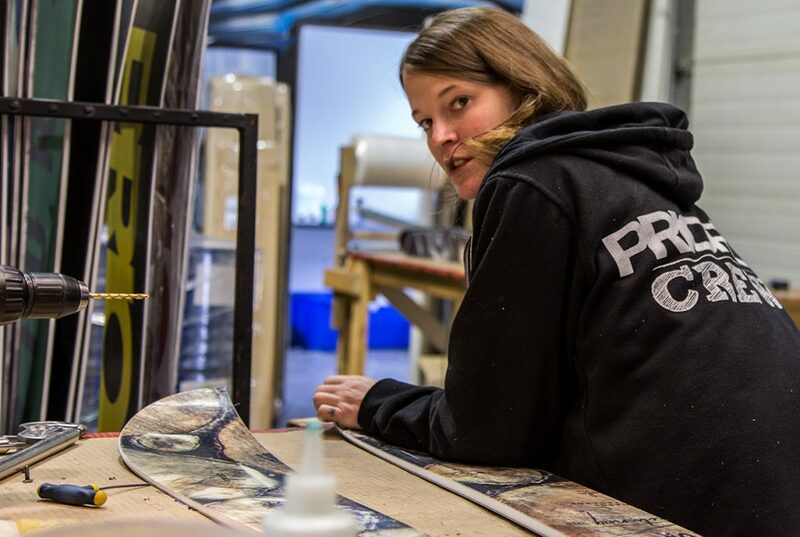 Anne-Fred Grenier putting the final touches on a new Prior splitboard. A pull towards the backcountry has avalanche experts issuing warnings to those who might be new to out-of-bound experiences. Of all B.C. avalanches reported in Avalanche Canada’s Incident Database over the past seven years, 20 per-cent have occurred within a 200 kilometre radius of Vancouver. “The South Coast mountains are commonly hit with higher and warmer levels of precipitation, causing a deeper and more stable snowpack” said Mary Clayton of Avalanche Canada. Larger snowfalls create more frequent avalanche activity cycles. The first 48 hours are especially dangerous because snow has yet to settle. A snowy winter has arrived and Clayton urges anyone considering backcountry travel to get informed and educated. 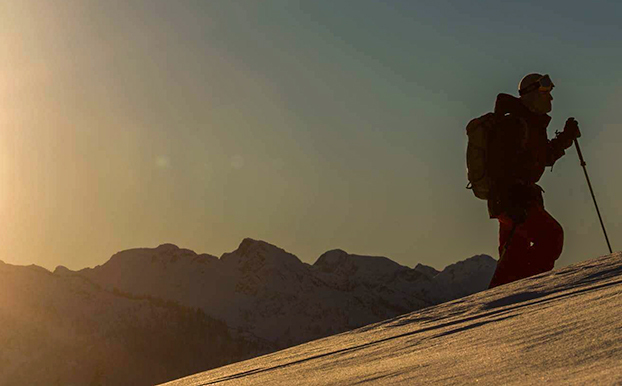 Whistler-based Mountain Skills Academy & Adventures has added more Avalanche Skills Training Level 1 course dates than ever before.